This powerful zoom lens lets DX-format D-SLR users reach 300mm super-telephoto with clarity and sharpness, thanks to built-in VR II (Vibration Reduction) image stabilization. In addition, the new High Refractive Index (HRI) lens—a first for the NIKKOR lineup—achieves clear, high-contrast images at every aperture and focal length yet contributes to making the lens body slim and compact. 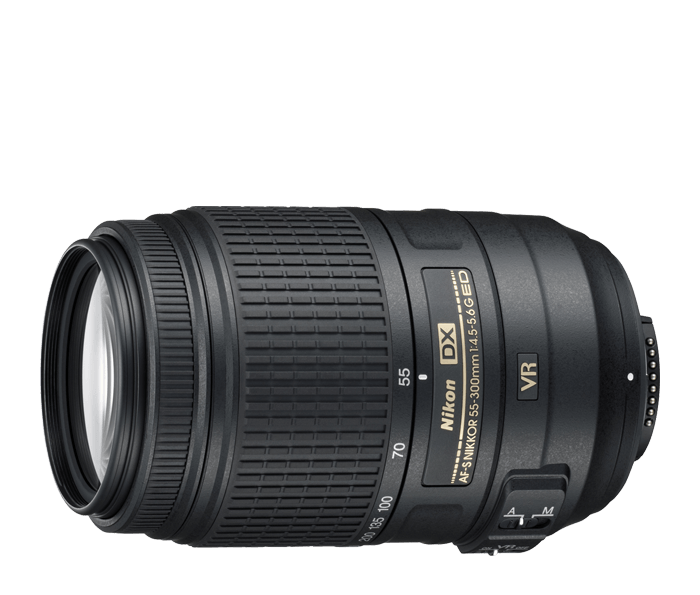 A practical, versatile lens, the AF-S DX NIKKOR 55-300mm f/4.5-5.6G ED VR is ideal for those who want a single lens that can handle just about any shooting opportunity.